Cyril Joseph Saward was born on 17th August 1918 and joined the RAFVR in Coventry in June 1939 while working in the car industry and began his flying training at 9 E&RFTS Ansty. Called up at the outbreak of war, he went to 3 ITW Hastings in September, moved to 6 EFTS Sywell in October and then to 8 FTS Montrose for No. 18 Course, which ran from 9th April to 26th July 1940. Saward joined 615 Squadron at Kenley on 30th July and was attached to 6 OTU Sutton Bridge on 3rd August to convert to Hurricanes. 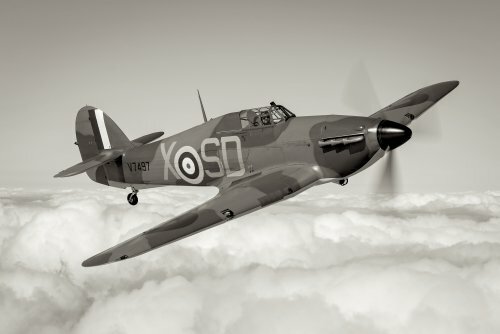 On the 21st he crashed on the aerodrome in a Hurricane, due to a burst glycol tank, unhurt. He rejoined 615 Squadron on 24th August. He moved to 501 Squadron at Gravesend on 9th September. He was shot down by Me109’s in combat over Tonbridge on the 18th and baled out, unhurt. 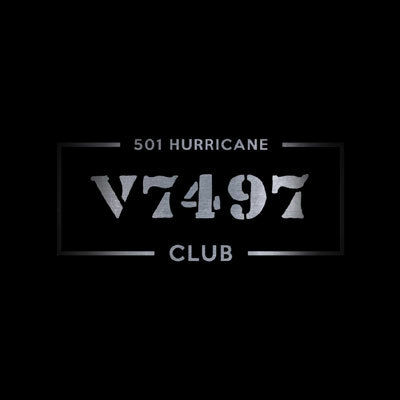 His Hurricane, V6600, crashed near Clapper Lane, Staplehurst. 24th – Sgt. Saward: 16.50 – 17.10 Active Ops, patrol. 25th – P/O E.B. Rogers: 08.55 – 09.50 Active Ops, patrol. 26th -P/O E.B. Rogers: 16.30 – 17.15 Active Ops, patrol. 27th – P/O E.B. Rogers: 09.05 – 10.10 Active Ops, patrol. 27th – P/O E.B. Rogers: 11.20 – 12.25 Active Ops, patrol. 27th – P/O F. C. Harrold: 15.10 – 15.55 Active Ops, patrol. 28th – P/O E.B. Rogers: 09.45 (take off) – Active Ops, patrol (a/c destroyed due to enemy action). Saward made his last sortie with 501 on 30th September, an engagement with Me109’s. In November 1940 Saward was posted to 4 Ferry Pilot Pool Kemble. He went to 2 CFS Cranwell in May 1941 for an instructors course, after which he became an instructor on Oxfords at 6 FTS Little Rissington. Saward was posted to Canada in January 1942. He instructed at 39 SFTS Swift Current until September 1942, was commissioned in October and then instructed at 37 SFTS Calgary until March 1944, when he returned to the UK. Saward joined 577 Squadron at Wrexham in April 1944, flying Hurricanes on army co-operation duties. He did a blind-flying course at CFS Montrose from November 1944 and then instructed at 20 (P)AFU Wheaton Aston from February to September 1945. Saward’s final posting was to RAF Perton, as OC Flying. He was released from the RAF in March 1946 as a Flight Lieutenant. He had married Maude Morris in Coventry in June 1944. He returned to the motor car industry and worked for Daimler, Humber, British Leyland, Standard and Triumph as a designer. He became Principal Engineer with Jaguar Cars and retired in 1983. Saward died in June 1988 in Kenilworth, Warwicks.